On Saturday 29th December 2018, former students of the Kaduna Polytechnic Demonstration Secondary School (KPTDSS) held its Fun Fair/Re-Union at the school premises. The theme for this year’s Re-union is “Empowering Youth for Better Growth through Self Employment and Entrepreneurship”. Many dignitaries graced the event including the former Principal, Mallam Musa Gumel, Mrs. Hamzat and other former teachers, Alumni and invited guests. Mallam Musa Gumel talked about the rampant substance abuse among youths. However, Mrs Hamzat advised the students to keep on being the good ambassadors of the school wherever they might find themselves. JoomSchool International, an ICT institute founded by an Alumnus, Mr. Abdulkadir Shehu popularly known as AK Shehu were present at the event to showcase its services. The institute is located in Kaduna State. The Company's representative, Mr. Musa Abubakar explained to the gathering what JoomSchool International is doing to reform lives through ICT in the State and the country at large. 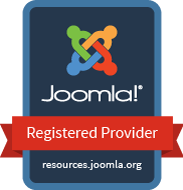 Some of the services offered at JoomSchool International are: Joomla! Web Development Training, Computer Training, Website Development, ICT Consulting, Digital Literacy Training, Software and Mobile App Development, CCTV Installation, Customer Relation Management and many more. The event closed at 05:00 P.M successfully and JoomSchool International were appreciated for their support towards making the event a successful and memorable one.